Malka heads for Tel Avi, and sleeps rough on the beaches of the mixed Arab-Jewish city of Jaffa. Here she is discovered by legendary Arab chef Rukh Baraka, who is seeking to rekindle his career by training Arab and Israeli street children to create extraordinary food for his new restaurant, the Leviathan. Malka bonds with fellow runaway Mahmoud, who is escaping the wrath of his Imam father at his "deviant" sexuality. Mahmoud reveals the city behind the city, the hidden Palestinian history of which Malka has been ignorant. Moshe has been trying to find Malka and is forced to confront some of his own demons, including the disappearance of his younger sister when she was in his care. Moshe swears that he will not lose another girl he loves. Ariel Kahn was born in 1973. Prior to his academic career he was traing to be a Rabbi in Jerusalem. He has a PhD in creative writing from Roehampton University, where he is now a Senior Lecturer. He has degrees in English Literature from Clare College in Cambridge, and an MA in Indian and African literature from SOAS. Ariel was also a driving force in the Arab Israeli Book Club, which he set up together with Palestinian novelist Samir El Youssef. The club was dedicated to building bridges, and creating a space for empathy and shared stories. 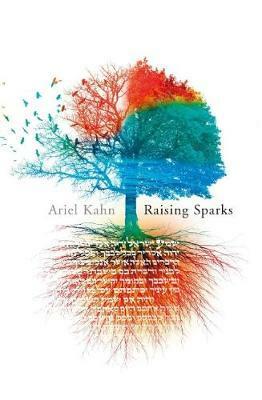 Ariel won the Bloomsbury New Voices competition and the London Writing Competition and come runner-up in the national Pulp Idol Fiction competition in 2017.Raising Sparks is his first novel.